Women’s handmade Barefoot moccasins. Ideal footwear for spring and summer. Footwear style – Barefoot. Barefoot is a style of footwear which copies the shape of the foot, leaves sufficient room for the big toe and other toes, and has a thin, flexible sole. We walk in this footwear as if we are walking barefoot: the thin sole makes us take shorter steps, we do not land on the heel, and we use the big toe and other toes, engaging the longitudinal and transverse arch, and exercising the musculature of the whole foot. In this way our pattern of walking gradually reverts to the way nature intended, and fallen arches and hallux valgus deformities are rectified. As a result, the whole body starts to function in the pain-free way it was naturally designed to, as was the case before we started wearing modern shoes with rigid heelpieces, high heels and cramped toeboxes. 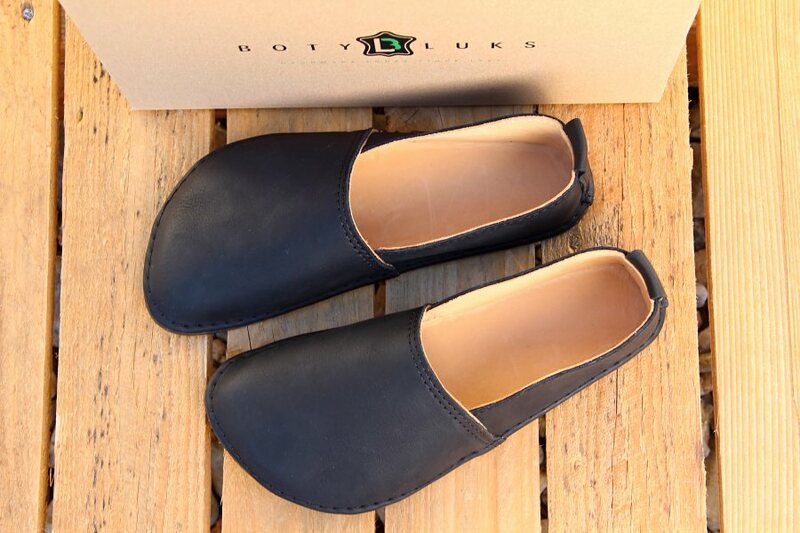 Once you try our Barefoot shoes, we believe you won't want any other kind. They really feel like your second skin. Barefoot footwear works on the principle of leaving room in front of the toes - this is called the "overlength", and it's the difference between the length of the foot and the inner length of the shoe. This is the space in front of the toes designed to allow the foot to work as it naturally wants to, as if walking barefoot. For our shoes an overlength of 3-5 mm will suffice. 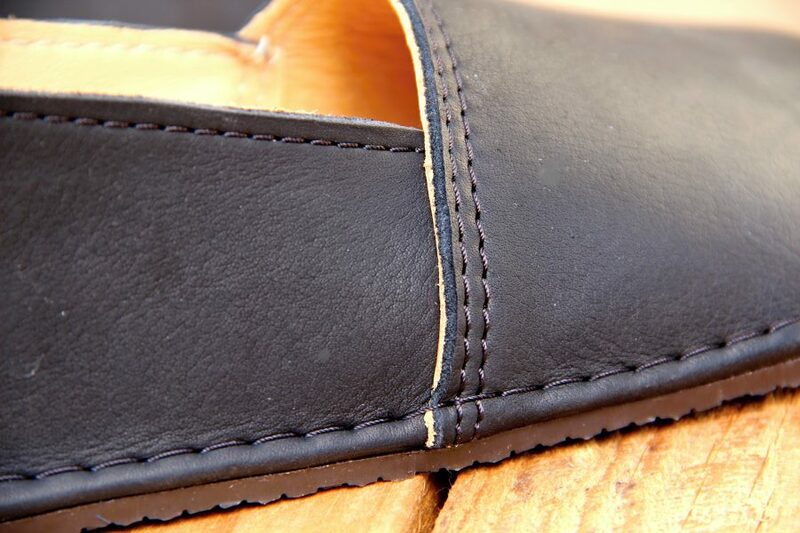 The leather is soft, and will adapt to the contours of your foot as you wear the shoes in. 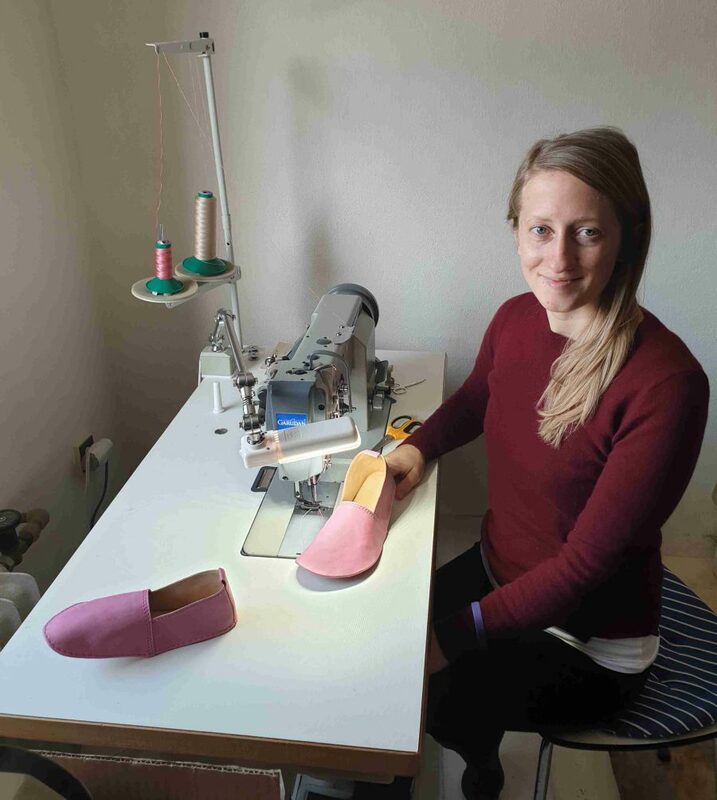 We manufacture all shoes by hand in our family workshop, and make them to order. Manufacture takes about 4 weeks depending on demand at the time. We are delighted that more and more customers are placing orders with us, and we don't want to cut corners on quality to meet the increased demand. If you absolutely need your shoes by a particular date, please let us know. We will do our best to make sure your shoes will be with you in good time. 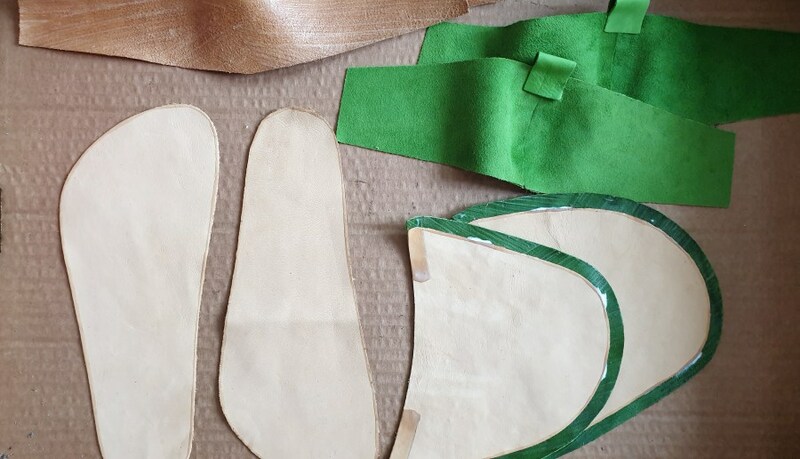 LEATHER IS A NATURAL MATERIAL, SO EVERY PAIR OF SHOES WE MAKE IS ORIGINAL AND THE EXACT SHADE OF THE FINISHED ARTICLE MAY DIFFER SLIGHTLY FROM THE COLOUR IN THE PICTURE. You can see here how the moccasins are made. You will love these women’s moccasins: elegant in their design, you can slip them on in a jiffy. 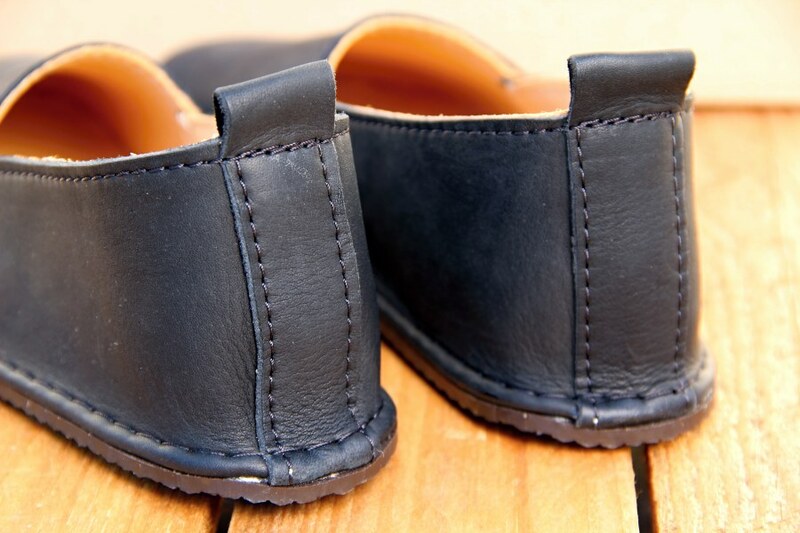 The wide toe copies the shape of the foot, and they go very well with trousers, a skirt or dress. 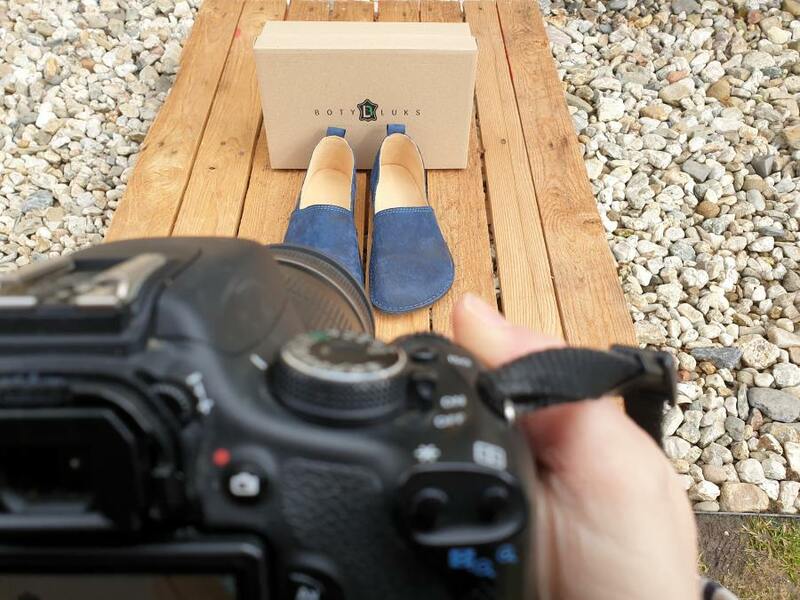 We manufacture all our shoes by hand from high-quality leather, which we source from local suppliers. The leather adapts constantly to your feet. In the course of time, the colouring may change slightly. 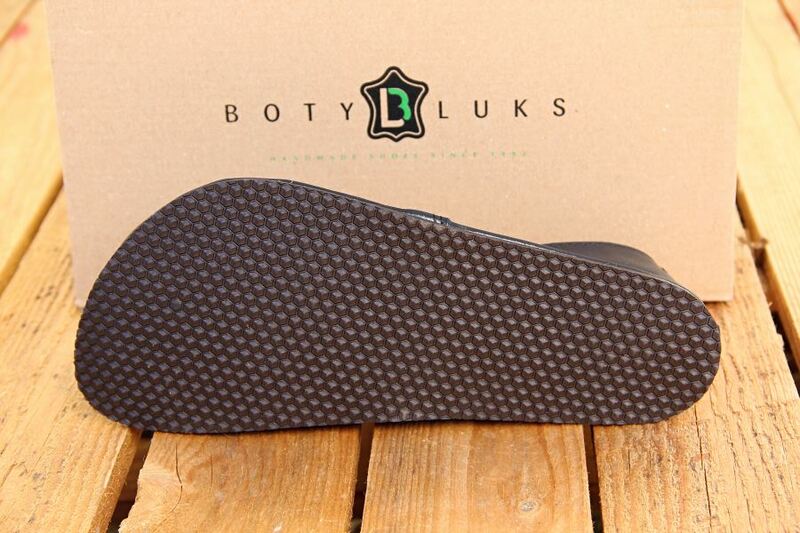 With proper care and regular treatment with leather spray, your Luks shoes will last you for several seasons. The Barefoot moccasins subtly wrap around the instep and the heel, and they don’t slip off the feet. The leather is soft and pleasant to the touch, and the shoes will stretch by a few mm, keeping a small overlength in front of the toes. Leather is a natural material with its own unique and original charm. Every pair is original. They are best suited to feet with a normal or slightly lower instep, where the big toe is the longest toe. Before you wear them for the first time we recommend using Nano leather spray for textiles and leather, and when necessary, a quick wipe with a damp cloth. 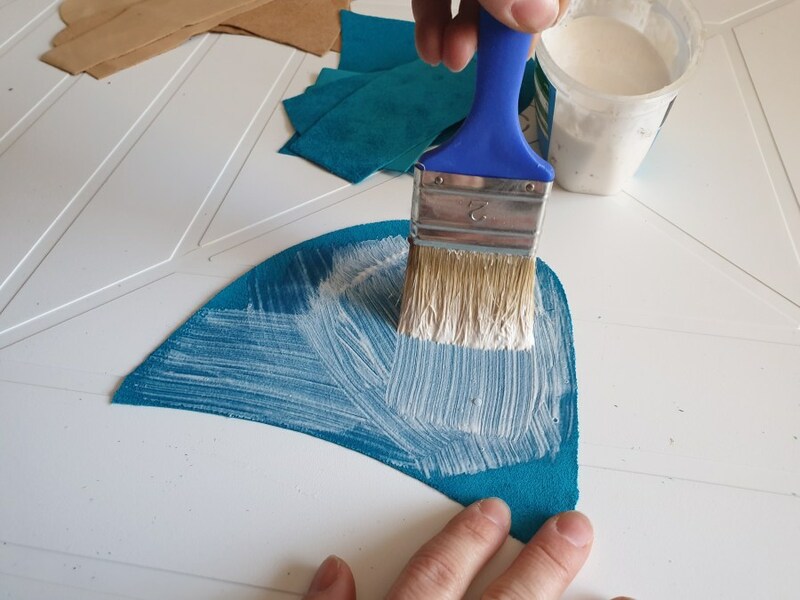 Note that if you use an oil-based leather spray the leather will become darker, and this change is irreversible.